Cooking With S.A.I.N.T. 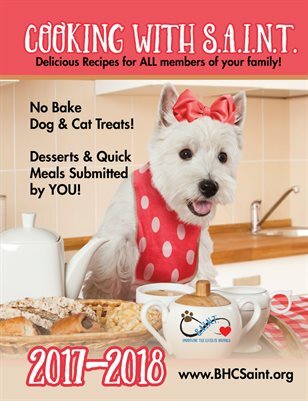 : Delicious Recipes for the WHOLE Family! Cooking with S.A.I.N.T.! Delicious recipes for the ENTIRE family! Proceeds benefit pet welfare/rescue organization. All recipes submitted by friends and family of S.A.I.N.T.